Have You Ever Felt Trapped by God? 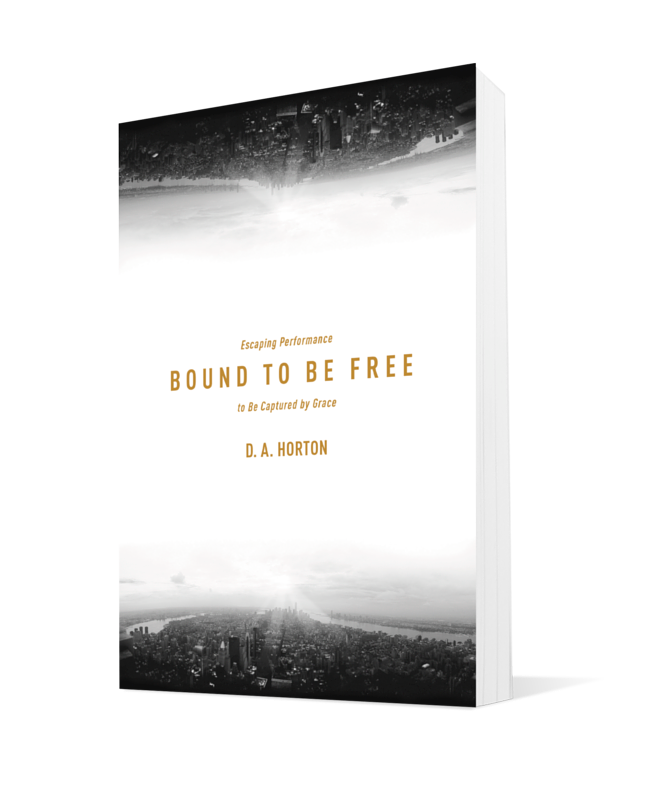 For years D. A. Horton struggled with childhood wounds that left him starving to earn God’s love in a kind of self-induced legalism that colored his entire existence. The pressure of his trajectory, his relationships, the desire for affirmation, and peer pressure weighed on him and never relented. Then D. A. learned the truth: God isn’t a callous taskmaster but a compassionate hunter, trapping his prey with his trustworthiness, with the experience of reconciliation, with the assurance of his affection, and with the joy of partnership with other saints. Discover God’s grace as you surround yourself with his wonderfully freeing net of love. D. A. Horton is currently planting a church in Los Angeles. 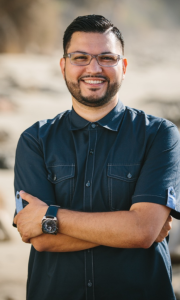 He served as the national coordinator of Urban Student Missions at the North American Mission Board and also as the executive director of ReachLife Ministries, the nonprofit ministry of Reach Records. He pastored in Kansas City for nearly six years. D. A. earned his bachelor’s degree in biblical studies at Calvary Bible College and his master’s in Christian studies from Calvary Theological Seminary. He is currently working on a PhD in applied theology from Southeastern Baptist Theological Seminary. He and his wife, Elicia, have three precious children. Learn more about D. A. on site- dahorton.com. Watch D. A. share about urban ministry, growing the church in your neighborhood, the trap of performance, and Bound to be Free. 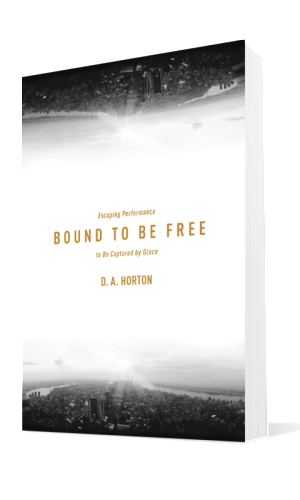 Exhilarating, liberating, and life-giving, D. A. Horton is one of my favorite young leaders in evangelicalism, and this book will show you why. If you have ever struggled, as I perpetually do, with the temptation to believe that God is pleased with you on the basis of your performance, this is the book you need to read. This is D. A. at his best—gospel-rich, raw, in tune with culture, and deeply insightful regarding human nature. Written by one of this generation’s most capable communicators, these pages describe a struggle that consumes most of us, and they highlight a simple yet profound path of redemption—faith in God’s grace. Many today live enslaved to achievement and to the demand to impress others, and they burn themselves out in the process. Horton offers another path which offers true freedom and life to the full. D. A. Horton is brilliant! He’s a gift to the church. In the midst of a performance-based culture where people are exhausted, D. A. invites us to come and rest in the performance of Jesus. Paradoxically, as we rest in Jesus’ performance, Jesus lives out his glorification of God through us. You are going to love this book. Your life will be transformed.